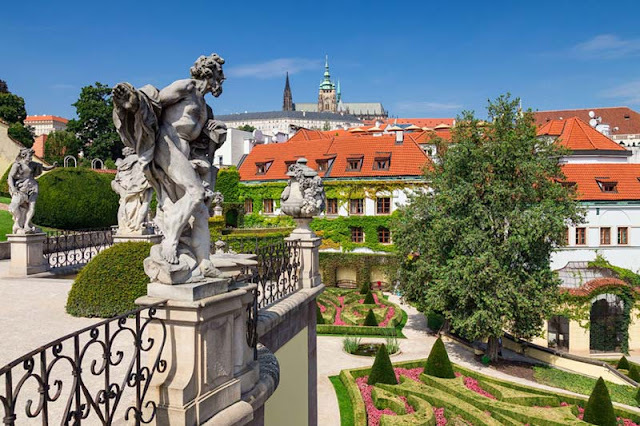 If you are plannig to stay in Prague in spring, you can escape from the crowds and visit one of Prague's beautiful gardens and parks. Whether you choose the ones in the city center or outside Prague, you can be sure that your walk, picnic or morning run will be very relaxing and unforgettable. Let's take a look at Prague's nature! Vrtba Garden is an Italian type Gothic masterpiece situated on a slope of the Petřín Hill. You can enter the garden through the Vrtba Palace in Karmelitská street. 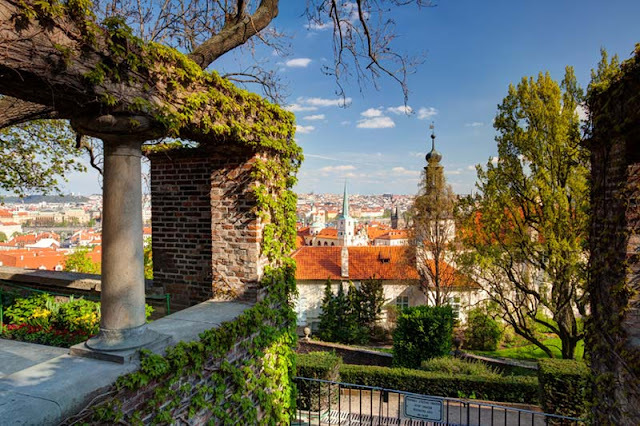 The garden is divided vertically into three separate terraces and offers lovely views of Prague Castle. Visitors can admire the statue and sculpture decorations created by famous Matyáš Bernard Braun, born in the 17th century. Treat yourself with a nice stroll and enjoy the beautiful architecture and greenery. This garden is a real paradise in the middle of Prague. Situated just few steps from the Wenceslas Square it is a great spot to drink your coffee or eat a small snack. If you travel with kids you can also use a nice little children's playground. You will have a beautiful views of the gothic Church of Our Lady of the Snows built in the 14th century. 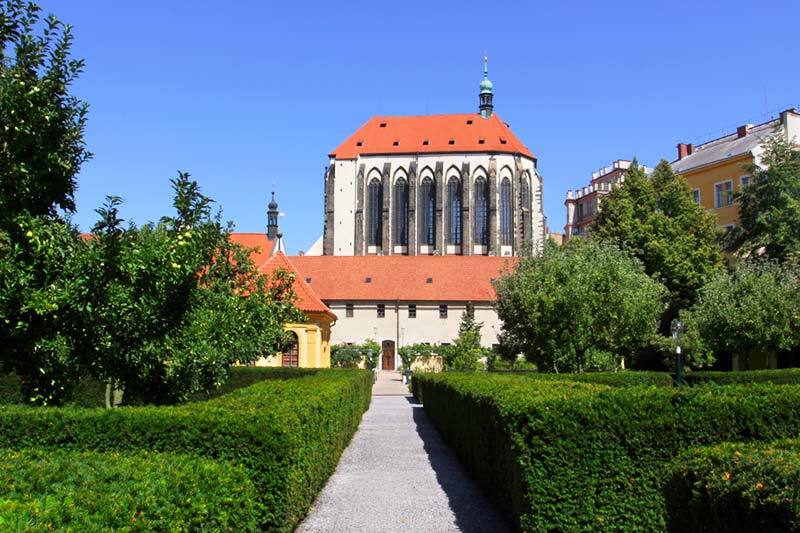 It is a complex of several gorgeous gardens located beneath Prague Castle. The gardens are accessible from the Valdštejnská street and from the Na Valech garden. The last reconstruction in 2012 restored their appearance from 1920's when they were renovated by the famous Slovenian architekt Josip Plečnik for the first Czechoslovak president Tomáš Garrigue Masaryk. You can visit the Paradise Garden, the Garden on the Ramparts or the Hartig Garden - you will love them all! Stromovka (formerly known as the Royal Game Reserve) is not just a Mecca for Prague runners but also a place where you can find your spot and just relax, all day long if you want. It is situated in Bubeneč district and connects Prague's municipal districts 6 and 7. 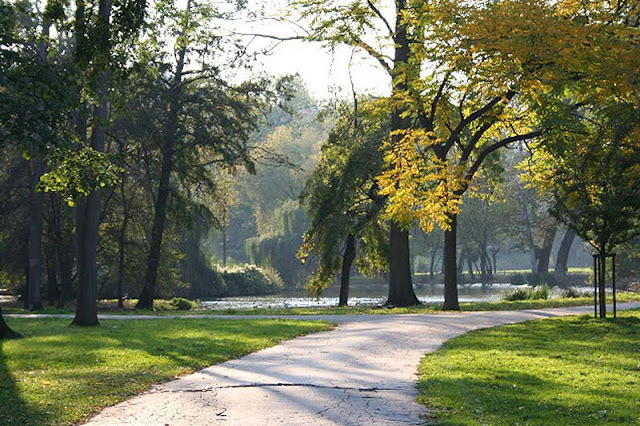 Stromovka is perfect for long walks, picnics or rollerskating and other sports. In spring you can even visit famous St. Matthew's Fair which takes place on the site of the Prague Exhibition Grounds, just next to the Stromovka. We also highly recommend to visit the Prague Planetarium and its attractive shows. This impressive park founded in the year 1885 is for its uniqueness a part of UNESCO World Heritage. 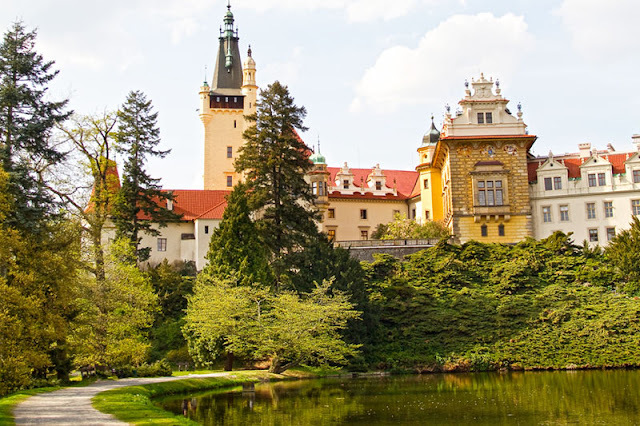 It is also Czech National Historic Landmark. Průhonice park is located next to Průhonice village, not far from Prague. The park is a combination of ponds, meadows, woody plants, groups of trees and streams. Do not miss the alpine garden, situated close to the castle! We recommend to spend a whole day in a park as it is very large. You can have a meal in a restaurant next to the castle or take a food with you and enjoy your lunch in a peaceful atmosphere. If you don't mind to travel a little further from Prague, you shouldn't miss the Big America Quarry, especially if you go to the Karlštejn Castle - you can take a very nice walk from the castle to the quarry which takes about 1 hour. The place is also called the Czech Grand Canyon and although it is not as big as the American Grand Canyon, it is a truly magical place. 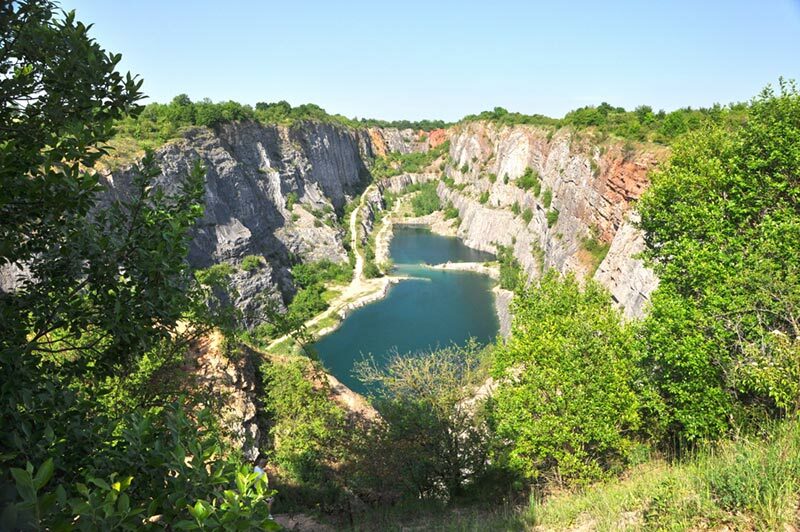 The quarry is approximately 750 meters long and 70 metres deep. A place with beautiful views of the Old Town and Lesser Town. And you don't even have to climb the tower! 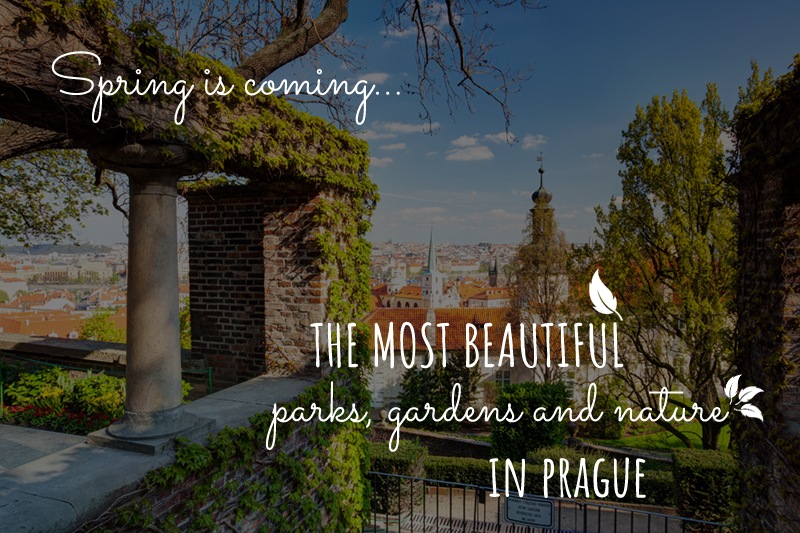 The park is worth a visit in every season, but especially in spring it is one of the most romantic places in Prague. 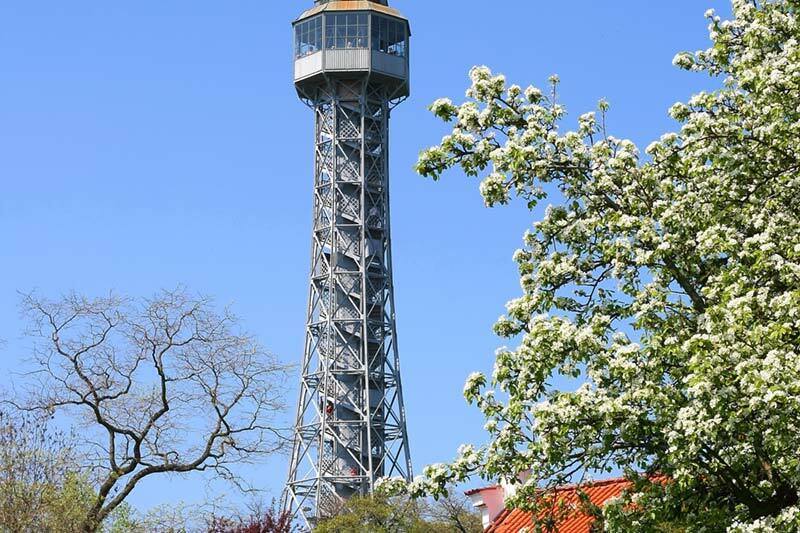 The Petrin Tower, inspired by the Eiffel Tower, was built 1891 and it is 65 metres tall. You can also visit a mirror maze which is located just next to the tower.